Picture post: Six months at KM8 frack site – DRILL OR DROP? A collection of drone images chronicles how Third Energy’s site at Kirby Misperton in North Yorkshire filled up with fracking equipment and then almost emptied again over a period of about six months. The images were taken between October 2017 and March 2018 by opponents of Third Energy plans for the KM8 well. Third Energy said it was ready to frack on 8 November 2017. But later that month, the Government said its decision on final fracking consent would be delayed by a legal loophole. In January 2018, another delay was announced. On 6 February 2018, the company confirmed it was releasing some equipment because of the delays. Last week, it removed part of the sound barrier and said fracking may not start until the autumn (link). well its Sunday again and warmer today, i heard this on the radio the other day and it struck me as being a Sunday song, and also very appropriate considering the massive spin and tory twitter tweeting offensive being waged at the moment. So before i start preparing the lunch, here it is so you can sing along as you get up. Oh spinnerman, who you gonna run to? Spinnerman, who you gone an’ spun to? Who you gone an’ lied to? I said, rock, what’s a’ matter with you rock? Don’t you see I need to frack? Don’t you see me sayin’? Don’t you see me down here slayin’? When you oughta been prayin’? Have a great Sunday with family and friends. Gold Standard Regulations and emergency procedures, fracking style? Would you go back in the pool? Then why do you expect us to? Hi Refracktion, remarkably similar lyrics and also as you say, strangely appropriate? You have to admit compared to coal mines they are very small and neat. Ian, individual pads aren’t particularly big, although PNR would appear quite a bit bigger than KM8, but how would they compare cumulatively for a fully operational shale gas extraction industry? Its all to easy to look at a single pad in isolation but that isn’t how the industry will work if it gets established. A virus is small and neat? Only a little bit larger than an atom. This is an interesting illustration: What does it remind you of? A virus high jacks the host and causes it to reproduce endless replicas of itself and hence overwhelms the host’s auto immune system. Result: a sick or deceased host and billions of more virus’s to infect and highjack more hosts? Now there is a suitably relevant metaphor if ever i saw one? 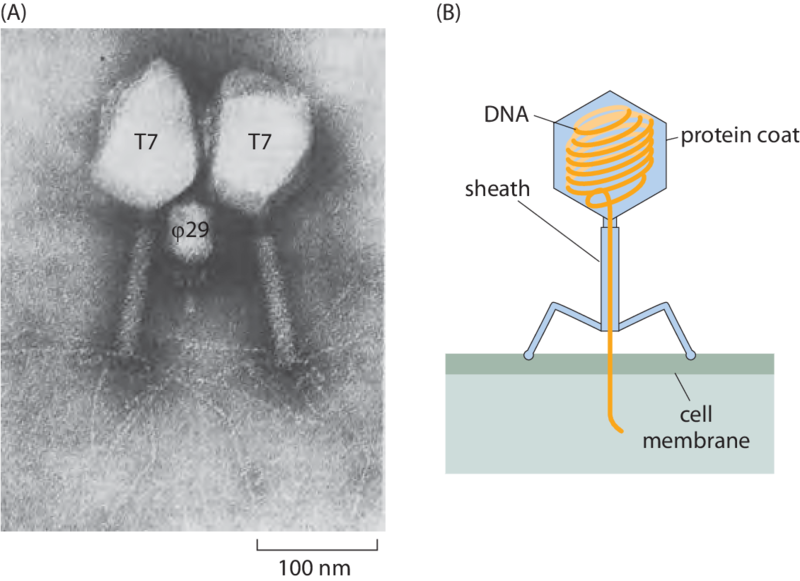 A virus is very small and neat, not much bigger than an atom, there is an interesting illustration here, what does it remind you of? A virus attaches itself to a host and penetrates and high jacks cells which then exhaust their resources reproducing more virus’s, they then overwhelm the hosts own immune system by depleting its resources and cause much of the hosts own defence mechanisms to either fooled into accepting them or prevent them from kicking the virus out of the hosts body. Virus’s cause anything from colds to death, the ideal host is still alive but highly contagious, so that the virus can spread more of itself and infect more hosts. The odd thing about virus’s is that they are essentially inert and dead tissue, and only contain a DNA code and an infinitely variable system of protein keys to unlock the cells natural protection mechanisms and enter a cell. Harmless in themselves but potentially deadly when encountering a living host? I think there are enough fracking metaphors there to be going on with, aren’t there? Atchooo! Ooops, sorry, the first virus post did not appear at first, so i “reproduced” it and reposted it, i assure you its not a virus, but could you delete the first one please? Now that people are facing the courts for their actions at Fracking sites, only to be told that the promised funds to cover costs and fines are not available and more funding is required. Could someone be persuaded to post a photo of the camps accounts. Or will this prove the rumours correct, that the gullible and easily excited have been used and abused by the NIMBY middle class and professional activists? Credit to Alan Linn and Third Energy for their consideration to the local community by removing the visually obtrusive sound barrier. I feel such a heel for uncharitably thinking it was only dismantled because they were paying a substantial fee to Sky Scaffolding for no real purpose or benefit. On another important point, the KM8 Traffic Management Plan was a shambles as police and protester vehicles were not taken into account, so overall numbers were way higher than expected, along with associated air pollution. Police also used their powers on a regular basis to reroute convoys away from the one and only properly assessed route. Assuming that KM8 will still be fracked at a later date, all traffic will be duplicated in future when the site is prepared for action once again. It’s a reasonable assumption that protester activity will not reduce (and is actually likely to increase as the industry attempts to expand into their back yards) so must be taken into account, along with police movements. Finally… finances. If satisfactory government/regulators checks into TE’s finances had been properly conducted at the appropriate time, this expense, disruption and duplication could have been avoided. I’m led to believe this was last done about 3 years ago – things evidently changed considerably in the meantime. Perhaps now the govt will develop a sufficiently robust financial check for all fracking companies, including an appropriate time frame for doing it, rather than allowing companies to dump huge taxpayer bills on us, the general public, to facilitate their fracking ambitions. Of course, this should mean the companies should not be allowed to jump the gun with development when essential permissions are not yet in place. I don’t think it’s unreasonable to expect compensation from TE to the public purse for this utterly wasted expenditure – not to mention removing a substantial number of officers from front line policing (of criminality of every description) for months on end, in order to police non violent, peaceful protest. TE really brought this situation on themselves by being 4 months late submitting their accounts for two consecutive years. If finalising their accounts was so complicated, why not start the process 4 months earlier? I can only think of three reasons for this: 1. The company, accountants and/or directors are financially inept. 2. They have something to hide. 3. They have no respect for the legitimate financial regulation of this country. If there’s another reason, please do tell. I see those who rarely post anything of any consequence (the Emoji brigade) are still there trying to excite. Was it worth it? There could be another reason Mike. Perhaps they were told they would not be allowed to frack until PNR was fracked and the accounts were deliberately delayed as the smokescreen? Antis then camped outside TE for no purpose, other than to produce evidence for injunctions. It’s known as a decoy. Nah, surely not?? Well I’m glad someone came up with another reason at last, because the three I suggested reflect so badly on the financial credibility of the hydrocarbon industry. Sadly Martin, your suggestion is uncredible… to the point of being INcredible, even if it was a joke. Not really a laughing matter though if these are the sort of people tasked with self regulating themselves all across our beautiful countryside. For it to be true, the planning would have had to start years ago, as TE were late with their 2013 accounts, then 4 months late for both their 2015 and 2016 accounts. I suspect TE’s hokey-cokey investors would also take a dim view of paying a fortune to ship in all the equipment for the test frack, then pay to ship it out, then back in, out (you know the rest). As the major investor, you’d think Barclays Bank would have had some influence in TE’s financial competence, but then again, they’ve not been doing too well on that front themselves in recent years have they? Bringing in a high profile financial wizard as a Director like Carillion’s CEO Keith Cochrane would surely have steadied the ship too…. oh hang on, perhaps not. How about the other new Director Baron Jitesh Gadhia, Tory party donor and board member of UK government investments Ltd – surely you could rely on him to get the sums right? ‘I see those who rarely post anything of any consequence (the Emoji brigade) are still there trying to excite’ – you shouldn’t talk about GBK that way; he put a great unicorn emoji on last time…..
hrb-when you have moved from a thinking beginner, I’m sure your comments will have something really important to communicate. Let us know when you have reached the intermediate stage. Barclays-backed fracker Third Energy courts rivals for cash. Maybe they should ask these lot….